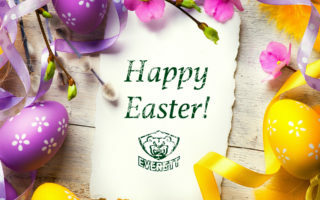 Finale of six meetings between the Silvertips and Giants this season … the Silvertips hold an eight point lead for first place in the Western Conference and U.S. Division … the Silvertips won five of six meetings last season with Vancouver (5-0-1-0) and are 27-5-3-0 in the series since 2012-13 … the Silvertips have outscored Vancouver, 24-6 in the first five games … Vancouver is 4-5-1-0 in the last 10 games. The Silvertips hold a seven point lead for first place in the Western Conference and U.S. Division. 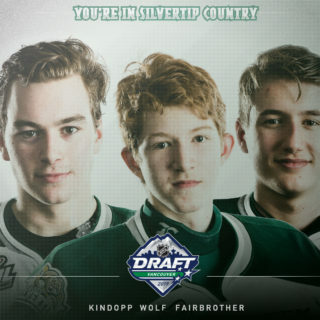 The Silvertips have 6 games to play. The Silvertips have a magic number of 7 to clinch home ice advantage in the opening round of the playoffs and a magic number of 9 to clinch the U.S. Division title. 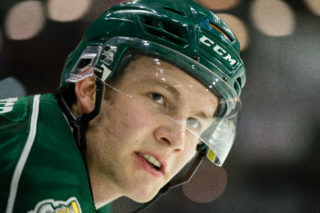 LAST GAME (EVT 2 – SEA 1 (OT) / 3-3-18): Connor Dewar deflected a Patrick Bajkov one timer past Liam Hughes to lift the Everett Silvertips to a 2-1 victory in overtime over the Seattle Thunderbirds before a sellout crowd of 8,319 at Angel of the Winds Arena in downtown Everett on Saturday in WHL action. Dewar’s team leading 35th goal of the season was his 7th goal in 9 games against Seattle this season, also his second straight game winning goal in as many nights. Patrick Bajkov and Matt Fonteyne each collected a goal and an assist. Carter Hart earned the victory in net with 17 saves while counterpart Liam Hughes turned in a 44-save effort. 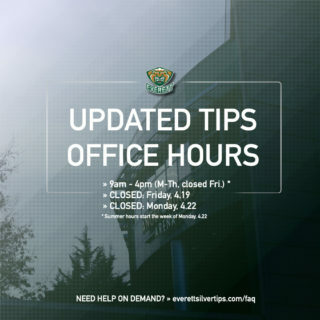 TORRID TIPS: The Tips are 39-8-1-3 in the last 51 games and finished 9-1-1-1 in February… they have won 34 of the last 41 games … Garrett Pilon led the Silvertips with 15 points in 12 games during February … they have 4 games of scoring 8 goals or more. NOT STANDING PAT: Patrick Bajkov, the leading Tips scorer, set the new Silvertips all-time scoring record with 264 points on Feb. 2, when he surpassed Zach Hamill with a first period power play goal … has twice tied his career high of 5 points … he reached the Silvertips all-time goal scoring record (108) with a goal vs. Kelowna on Mar. 2. AGAINST THE B.C. DIVISION: The Tips are 16-2-0-1 against opponents from the B.C. Division … their next B.C. opponent is Mar. 16 vs. Victoria … the Silvertips have ten players on their roster from British Columbia. 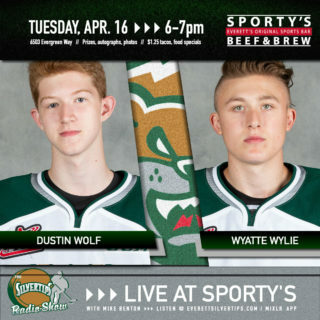 SPECIAL DELIVERIES: For the Silvertips special teams, the penalty kill is 1st in the WHL (84.6) … the Tips power play went 5-of-9 on Jan. 7 vs. Victoria, tying a franchise record for most power play goals in one game (5) … they are 7-of-23 in the last seven games … Connor Dewar leads the Silvertips with 15 power play goals.